Spay & Neuter-Save A Life! Recently, the Mauritian Minister of Environment, Sustainable Development, Disaster and Beach Management has signified his intention to have recourse to mass catching and killing of stray dogs found on the island’s beaches. This decision created an upsurge among animal lovers who view this action as inhumane and one which is devoid of compassion. Besides, such action does not address the root cause of the problem and is, unfortunately, not a panacea to the lingering issue of stray dogs in Mauritius. Several NGO’s which work for animal welfare have proposed that one of the solutions to this problem is a mass sterilization campaign across the island. 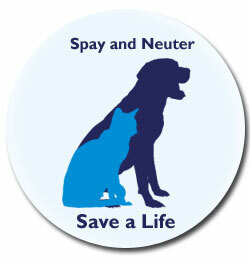 Spaying and neutering is the only permanent, 100 percent effective method of birth control for dogs and cats. Everyday, unwanted puppies are dumped and disregarded by irresponsible owners. Spaying and neutering will prevent this situation from rising, stop more pets from being homeless and help to control the population of dogs and cats. Furthermore, spaying and neutering will not only ensure that the pet lives a healthy life but also lives longer! Who would not like to spend more time with his best friend? A report published in USA Today stated that neutered male dogs live 18% longer than un-neutered male dogs and spayed female dogs live 23% longer than unspayed female dogs. This longevity may be due because spay and neuter surgeries reduce the risk of cancers. Besides, a sterilized pet will feel less need to roam about and thus the risk that it meets with an accident or is attacked by another pet is reduced. In short, spaying and neutering will not only help to deal with the problem of strays but will also keep your pet in good health. Killing has never been a solution; spaying and neutering is one!